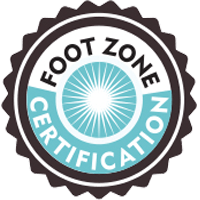 The foot zone certification course runs for 7 straight months. Classes are held for 2 1/2 to 3 days each month for 7 months. The days of the month vary so check each session before reserving your seat. The course costs $3600 plus books and online resources. Prices may vary in states and countries outside of Utah.